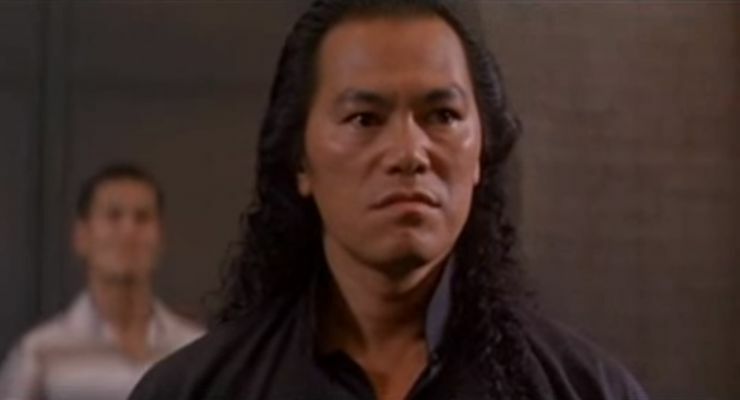 Martial artist John Cheung was born on July 11, 1957 and is a stuntman, action actor, choreographer and film director who has shared the screen with many of Hong Kong’s and Hollywood’s action stars. 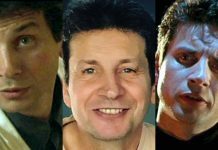 He has worked for all the major studios including Shaw Brothers and Golden Harvest as well as with independent film companies like Goldig. He is known for his fight choreography work on numerous of the Ninja films with Director Godfrey Ho. 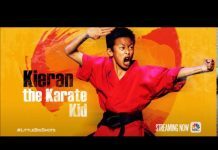 He has also had the good fortune of appearing in a handful of Hollywood productions and served behind the camera as an action choreographer; bringing Hong Kong’s unique brand of action design to America, on films like Rob Cohen’s Dragon: The Bruce Lee Story (1993). John Cheung is also known for his work on Kickboxer (1989), Double Impact (1991), Bloodsport (1988), and Police Story 2. JC: When I was in elementary school back when we only had a B/W television… no color. 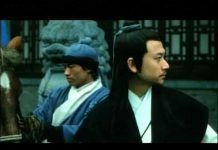 I would often see Kung Fu action films of Wong Fei Hung. When i was sixteen or seventeen, I loved the Shaw Brothers action movies. David Chiang and Ti Lung were my idols at that time. JC: My first time choreographing fights was on MOUNTAIN TIGERS (BRAVEST FIST ). Chan Wai Man was the main actor, but he arranged for me to choreograph the fights in the film. He’s a very good actor and fighter. He and I worked well together. He had no trouble performing the action I designed for him; but Mr. Chan also had his own ideas that made his fighting style look better onscreen. JC: When I finished studying at the Shaw Brothers Training Facility I was offered a contract of $500 a month for five years. I didn’t sign the contract and worked as a freelancer instead. JC: I went back to Shaw Brothers in 1975. One day, I was near the makeup room and the director, Chuck Bail, saw me. I didn’t know who he was at the time, but he liked my body shape and my looks and sent someone to ask me to go to the casting director. They had me read some lines in English. Mr. Bail liked me very much. He gave me a great opportunity. I really appreciate him giving me a chance to be in a Hollywood picture. To be so early in my career, I never thought I would be in such a prestigious production. JC: We always had scripts, but back in those days, they would often change. For example, export markets would require additional scenes so we would change the scripts for those markets–Europe among them. This was a problem for the movie companies in those days, but the foreign audiences–like the Americans and the Europeans–really liked our action movies. JC: I made eight movies for them, and each one had its own characteristic. SNAKE IN THE MONKEY’S SHADOW (1979) and TWO WONDROUS TIGERS (1979) were successful pictures. KUNG FU MASTER NAMED DRUNK CAT (1978) was a very funny comedy movie! Candice Yu On On, who is in this movie with me, was Chow Yun Fat’s first wife. Back then Goldig was a top movie company in Hong Kong. Chow Yun Fat started out there. He and I made THE HUNTER, THE BUTTERFLY AND THE CROCODILE (1976) for them. Yuen Woo Ping’s father, Yuen Siu Tien, he and I worked together on KUNG FU MASTER NAMED DRUNK CAT. He was also my half master. Many years ago he did Wong Fei Hung pictures for TVB. He taught me how to use the Red Tassel Spear (Hung Ying Qiang). JC: I made two movies with Wilson Tong designing the fights; these were SNAKE IN THE MONKEY’S SHADOW (1979) and DUEL OF THE BRAVE ONES (STRUGGLE ). The former was the more interesting of the two. You know the scene where I am watching the monkey and snake fighting? The film company had purchased a monkey and a snake so they could fight on camera. Just like in the movie, I watched the movements of the monkey, his survival instincts, and applied them to my own techniques and they turned out well onscreen. V5: You did one movie with Hwang Jang Lee, EAGLE’S KILLER (1981). Can you talk about that one? JC: We began shooting that around 1979 or 1980. Master Hwang is a Korean, a Tae Kwon Do fighter. He’s very powerful. I enjoyed working with him, although it was painful at times! We shot that one in the summer time. The heat was scorching and we were fighting hard towards the end to finish it and make it look good. The film made a lot of money so the boss was very pleased. We were also happy so we forgot about how difficult it was making it (laughs)! 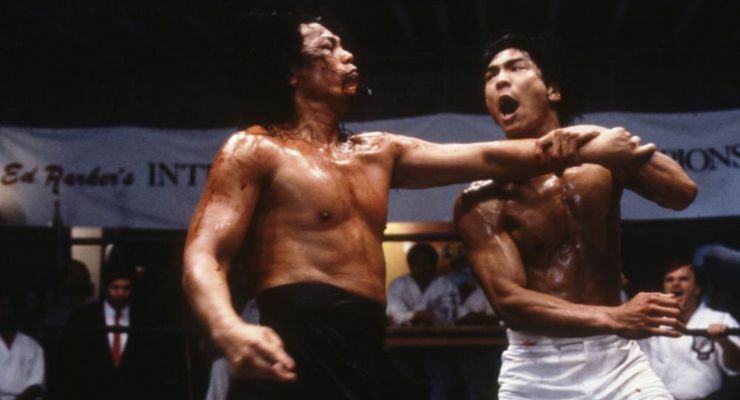 JC: Back then it was decided there would be a new style with Jackie Chan–a variety of action styles including hazardous maneuvers, a lot of property destruction, and lots of comedy. Of course, his movies became extremely popular. My brother, Johnny Cheung (Zhang Hua) was behind the scenes working on several of them. JC: I worked with Van Damme on three films, BLOODSPORT, KICKBOXER and DOUBLE IMPACT. I can say that, had he not shot those films in Hong Kong, no Chinese people would have helped him, and maybe he wouldn’t be successful today. On DRAGON, I was one of Jason Scott Lee’s trainers. I had my brother and our stunt team on that picture. 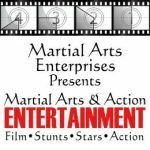 Hong Kong action, martial arts and the stunt work is the best in the world. American martial arts movies of that time could not compare. V5: You’ve worked with so many famous stars in the industry. Would you care to talk about any of those you’ve worked with over the years? JC: All Hong Kong actors, from all various genres, we all live under the same sky. We all try to make a better future for Hong Kong while trying to let the worldwide audience know our tiny Hong Kong is the Pearl of the Orient. There has been no one before or since like superstar Bruce Lee. Bruce Lee influenced the entire world with his Kung Fu movies. 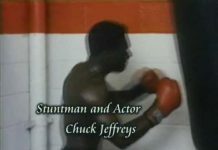 One of my earliest jobs as stuntman was on Bruce’s ENTER THE DRAGON (1973). JC: I lived in Los Angeles for a few years, between 1995-1998. I also worked on some foreign films during this time. I returned to Hong Kong in 1999 and made TREASURE HUNTER! The story was my own, but I hired Xu Guang Tong to write the screenplay. My younger brother was the producer and action director. He also is an actor in this picture. We shot a lot of underwater photography, some in the ocean. We didn’t use any computer graphics to enhance these scenes. All the underwater scenes were real as I am a diving expert with the US NAUI (National Association of Underwater Instructors). I am a three-star coach with the Chinese National Diving Association; so I am also a director of underwater photography! Prior to this in 1989, it was me who designed all the underwater action stunts in Stephen Chow’s WHEN FORTUNE SMILES (1990). In the old days there was nobody who could do that in Hong Kong. 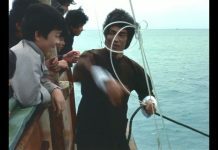 I was the first Chinese who could do underwater action, stunt fighting, design and photography. V5: Looking at the Hong Kong action industry today, how does it compare to the old days? Do you think it’s better in some ways and not so in others? JC: Today in 2016, the HK action movie industry is fading because the Hong Kong government does not properly support it; so some actors went to Mainland China to further their careers. 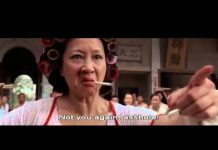 It’s not impossible, though, to return Hong Kong movies to its former glory. However, we have to work hard and put a lot of effort into doing that! V5: Looking back on your career what work are you most proud of and is there any film you worked on you wish you hadn’t accepted? JC: When I think of the past, I was a leading actor once upon a time–between 1976-1980. Sometimes I was shooting three to four films all at the same time; shooting three to four end fights all at the same time. That kind of pain I cannot say for others. At that time in Hong Kong we were filming in the New Territories. We would film action scenes from sunrise to sunset every single day. You can imagine the physical exhaustion! There were no computers then. I didn’t have many stuntmen working with me so I had to handle all the action by myself! I remember one morning a member of the film staff called me at home saying, “We are waiting outside to pick you up to drive you to the set”. After many days of filming fighting scenes I was so fatigued and in pain and all I could think about was how badly I no longer wanted to be the main actor (laughs)! Pat Morita would later land a job with an aerospace firm, but in his early thirties, Morita abandoned his corporate career to pursue a career as a comedian. He struggled in the nightclub circuit for many years as a stand-up comic known as the “Hip Nip”. He made his first on-screen appearance in Thoroughly Modern Millie (1967).